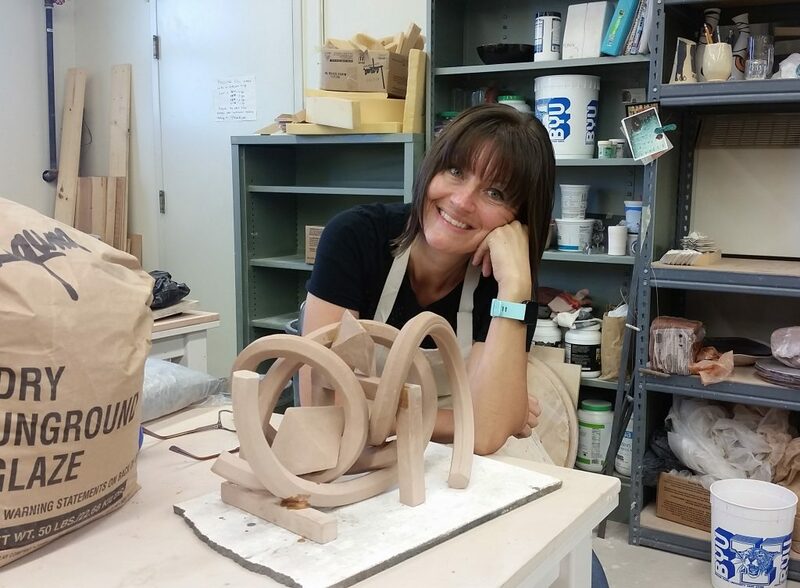 J. Amber Egbert is a ceramic artist as well as an adjunct faculty member Brigham Young University. She received her BS from Utah State University (1998) and her MFA from Brigham Young University (2016). Her work has been included in group exhibitions at the Long Beach Island Foundation for the Arts and Sciences in New Jersey, the Morean Center for Clay, the UNF Gallery, both in Florida; the Watermark Art Center in Minnesota; the Arts Alliance of Georgia; the Annemarie Sculpture Garden and Art Center, and Baltimore Clayworks, both in Maryland; Missouri Western State University; the Woodbury Museum, the Springville Museum of Art, Art Access Gallery, Gallery at the Station, Sears Gallery, the Bountiful Davis Arts Center and the Harris Fine Arts Center at Brigham Young University, all in Utah. She is also the recipient of a grant from the Laycock Center for Creative Collaboration as well as a research fellowship from the Brigham Young University Department of Graduate Studies.